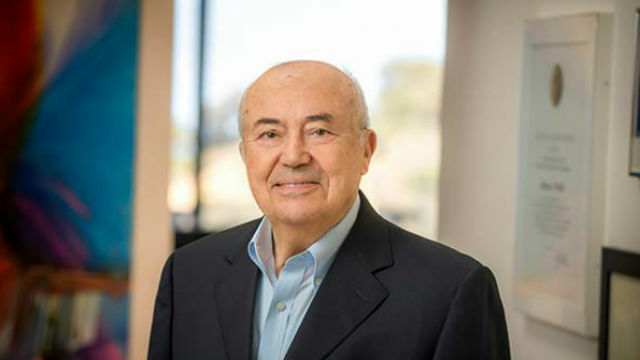 UC San Diego officials and Qualcomm co-founder Andrew J. Viterbi Thursday announced that Viterbi will make a $50 million donation to the university and its medical efforts. UCSD will rename its department of ophthalmology and vision research center after the Viterbi family because of the donation, which will also allow the university to create six new endowed chairs for its faculty. Viterbi said the gift is intended to honor his father Achille. The Viterbi family emigrated to the U.S. in 1939 from Mussolini’s Italy. The newly minted Viterbi Family Department of Ophthalmology is the university’s first named health sciences department. The department works with UCSD Health’s Shiley Eye Institute, focusing on clinical care and research. The Viterbi Family Vision Research Center focuses on restoring vision to those blinded by retinal degeneration and cataracts and curing glaucoma blindness. Viterbi co-founded the San Diego-based telecommunications company Qualcomm in 1985. He served as both vice chairman and chief technical officer for the company before retiring in 2000. He also worked as an engineering professor at both UCLA and UCSD and is now Professor Emeritus at the latter. He currently is president of investment firm the Viterbi Group and has made donations to MIT, USC, UCLA and Israel’s Technion before his donation to UCSD. The donation contributes to UCSD’s Campaign for UC San Diego. University officials reported Aug. 10 that $1.6 billion of the campaign’s $2 billion goal had been raised since its launch in 2012.